Apple does not plan to announce its streaming television subscription service at the Worldwide Developers Conference next week, reports Re/code, citing sources with knowledge of Apple's plans. Apple has informed television network executives that launch will be postponed because the company has not yet signed the necessary deals. Apple wanted to launch a subscription TV service in early fall to coincide with the start of the new broadcast television season. But the debut got bogged down by negotiations over financial terms and new technology that would be required for broadcasters to deliver local programming to Apple's Web TV service. According to industry executives, the television service may not launch until late 2015 or early 2016, as "technology and money issues" continue to be sticking points that have prevented negotiations from being completed. Apple's desire to provide consumers with local broadcast stations has also reportedly slowed down negotiations as securing all the necessary deals to show local programs and commercials takes a lot of time. Rumors have suggested that Apple's streaming television service will feature approximately 25 channels priced at $30 to $40 per month. It would be available over the Internet and would not require a cable subscription package. 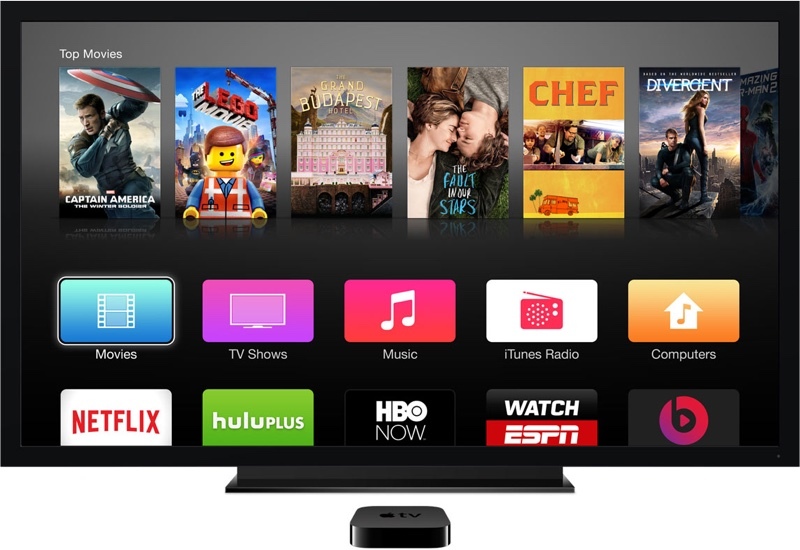 While Apple does not plan to debut its streaming television service at the Worldwide Developers Conference next week, it is rumored to be introducing a new Apple TV set-top box with a full App Store that includes apps and games. It's also expected to introduce a new streaming music service, a revamped version of iTunes Radio, and OS X 10.11 and iOS 9. Apple needs to hurry this up so we can all complain about how overpriced it is. At this point, I'll just be happy if they introduce a new updated :apple:TV anything else that goes along with it will be a bonus. So very true. This could be a very boring WWDC for those of us outside of the U.S. The TV service package can come later. What we want now is new hardware with revamped UI and SDK so developers can start making apps. Too bad (if true). This was the rumored announcement in which I was (personally) most interested. Like Godzilla (above), I hope they will at least roll out an updated box with an app store or the API/SDK giving third parties a few weeks or months to build new apps. THAT seems like something that probably best fits what WWDC is about so if we don't see it at this one, I wonder if it would wait until next summer? OMG this new interface is TOO BLINDINGLY WHITE!!! Tone it down for the love of retinas, please!! On topic, I'm with the others who don't care at all about the streaming tv service, I just want updated hardware with an all-out App Store and let the developers work their magic. I seriously hope it still has infrared remote compatibility, even if its more advanced features require bluetooth connectivity. I want to be able to control the basic functionality with my existing universal remotes. Doesn’t surprise me at all. This delay is needed if the rumor of the 25 channel cable sub with a $30-$40 price tag is true. If they release something, I want it to earn the "Revolutionary" title and truly be an ala cart TV provider. Give me something that lets me hand pick channels from a roster of say 100 stations at $2-$3 a pop and then I will submit that you have "revolutionized" this industry. We would also find out real quick how many people watch or don’t watch channels and who has padded viewing stats.